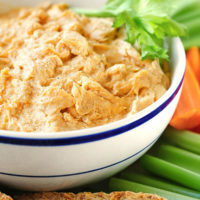 At a neighborhood holiday party a year or so ago, I enjoyed my fair share of Buffalo Chicken Dip. Quite addicting, for sure. I’d managed to banish it from my mind for over a year now, but decided to make some (ever so slightly lightened up) with our homemade Hot Sauce Recipe to try out before Super Bowl night. Ya know, to test and everything. I think taste testing is the least I can do before serving others. It’s the kind and thoughtful thing to do, right? It certainly passed the taste test. And yes, it’s still as addicting as I remember, even slightly lightened up. Randy may have even spread it on a sandwich. He’s crazy like that. 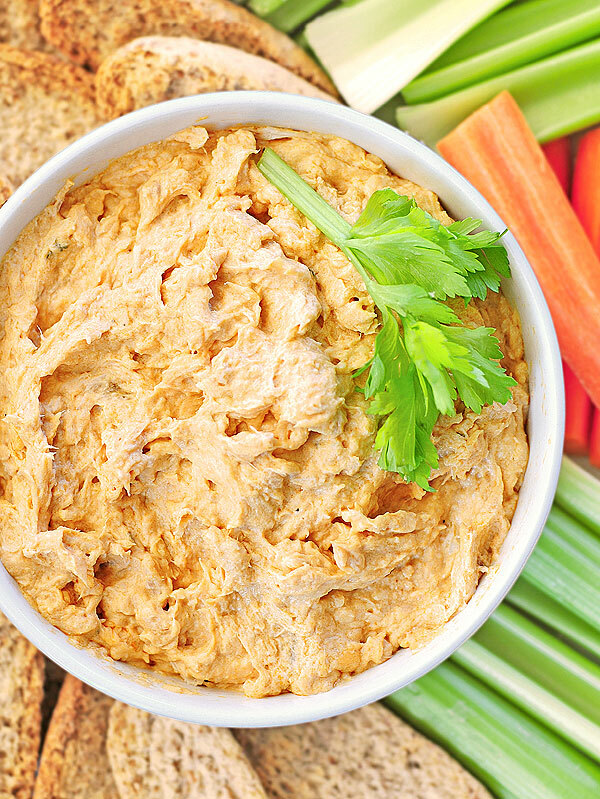 Spicy and cheesy, and oh so super with celery, carrots, or crackers. Thank goodness the Super Bowl is only once a year. Although I can think of several occasions where this dip would be the perfect guest. 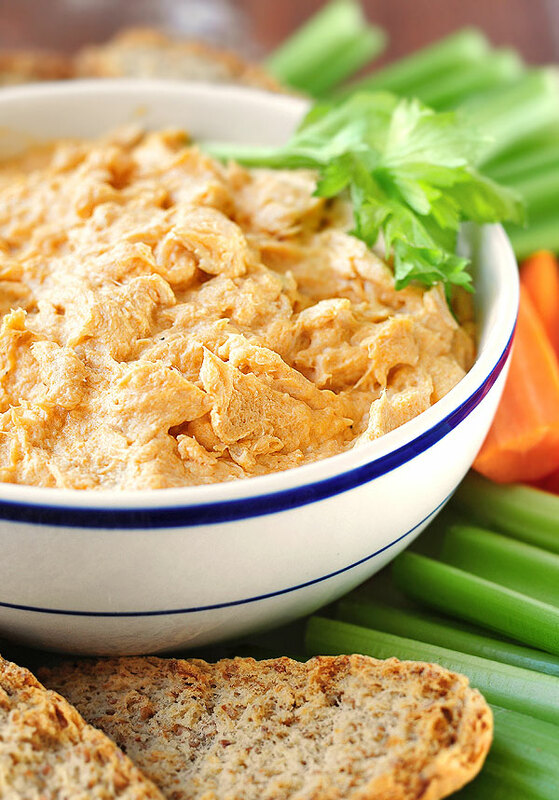 Here’s to a fun Super Bowl party, or a sitting around chatting with friends party, or I just like Buffalo Chicken Dip and I want to party party. Whatever you’re celebrating, enjoy! An easy appetizer that can be prepared ahead. 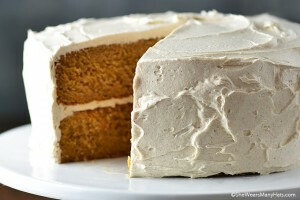 In a medium sauce pan over medium-low heat, combine hot sauce and cream cheese until smooth. Add remaining ingredients, stir to combine well. Heat over low until cheese melts. Transfer to serving dish, and serve with crackers, chips, celery, or carrots. This reheats well, so it may be prepared ahead. Cover and refrigerate until ready to reheat. 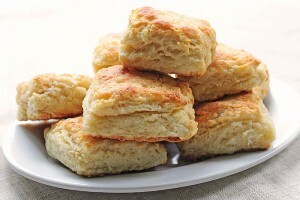 May be prepared in slow cooker or baked in oven. If using a slow cooker, let cream cheese soften first, then combine all ingredients well, and once warm serve. To prepare in oven, in a large bowl, combine all ingredients until smooth. Transfer to oven-safe dish, if desired, top with 1/4 cup additional shredded cheese, and bake at 350°F until warmed through, about 20-25 minutes. Slightly adapted from Frank's Red Hot Buffalo Chicken Dip recipe. Looks like a delicious recipe. I had also found another version published today. Similar with different kind of cheese and different kind of hot sauce. Both of your dips look great. What a perfect dip for Game Day! Who needs football with this recipe, lol! Love it! I am a sucker for anyting involving buffalo sauce. This looks awesome, Amy! 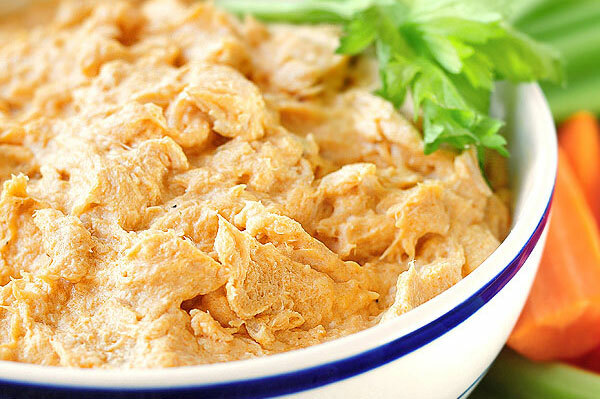 In my opinion, buffalo chicken dip is one of those must-have foods at Super Bowl parties. Love this. This is the ultimate Game Day Dip!! I’m always hovered over the dip bowl, I know this will be no different! Wish we could watch the BIG GAME together on 2/2 Amy! Looks fabulous! I do too, Sandy! Wouldn’t that be fun? I’ve made this dip before and loved it. How far ahead do you think this can be made? A day? A few days? Thanks! I think a few days and it should be fine. It is super yummy!